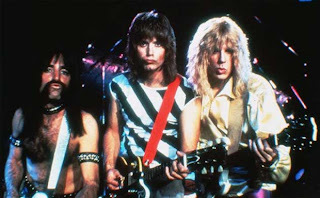 WJSG Internet Radio: Spinal Tap to reunite in 2014? Spinal Tap to reunite in 2014? Spinal Tap’s Nigel Tufnel, David St. Hubbins, Derek Smalls may hit the stage next year, according to director and writer Christopher Guest. While promoting his latest project, HBO’s Family Tree, Guest was once again asked about his acclaimed “fictional” UK trio, and whether or not we’d see them again. In related news, the exceptional soundtrack to Rob Reiner’s 1984 mockumentary, This is Spinal Tap, was reissued on vinyl last month with a “none more black” cover via The Control Group.